From the airport in Hania, Crete–a place that has a reputation for getting “planeloads of Danes” during the tourist season. Let’s get this out of the way right now: for media aimed at younger audiences, even in part, there will be dubs of them in the Nordic Languages, “All their media is in English, and that’s why they all learn to speak it excellently…”, you might have heard? No, not quite. Sorry. That would be the schooling systems you have in mind. In my Stockholm hotel TV where my family was staying, there was definitely very little dubbed material (is that why people get this impression? ), but the fact is, that you can find media in the “everyone from the countries where these languages are spoken speaks English” languages, and a lot of it! Not only that, but you can and will find people willing to speak to you in these languages and will actually be very pleased that you undertook the effort! On one hand, a quick Google Search in regards to the Danish Language may tell you that you better give up now because all the expatriates struggle with the language, never learn it, always get answered in English, can’t even get the basic street names correctly, etc. etc. On the other hand, while I don’t particularly trust the FSI’s rating of languages by difficulty (or any such ratings, actually), the fact that Danish is in the easiest category (along with Romanian, the other Scandinavian Languages and the Romance Languages—hey, FSI, possibly put Romansh in there, too?) is telling. I came across this list back when Danish pronunciation mystified me, back when I thought, “I will never bother with torturing myself with this, I’ll stick to Swedish and Norwegian for the time being”, and I was perplexed. But interestingly, a part of me found it believable…maybe the pronunciation wasn’t so bad after all. Okay, back up, for those of you wondering what exactly makes Danish so elusive in the eyes of foreigners, allow me to introduce you to the stød, the glottal stop. Mention this to someone who speaks the language, and he or she may make a motion of sticking his or her tongue out slightly and then withdrawing it—in so doing, this creates a certain creaky vibration of the throat. This is effectively what you need to master. While it took me a number of weeks practicing to practice it, while walking on silent roads or in the shower, I actually encountered someone a few weeks ago (German/British), with no prior knowledge of Danish, who pronounced a perfect stød on his first try! Well, you really shouldn’t judge anyone from first tries, but the fact is: there is hope for you! Not also to mention that there are dialects of the language without it. That creaky voice sound that you can hear at multiple points in the song? Yep, that’s what scares away many prospective learners. Not the only thing, however—the fact that Danish spelling is deemed a “poor indicator” of pronunciation means that even basic words, like “bedst” (best), “gade” (street), “overalt” (everywhere) and “eventyr” (fairy tale—you know, that’s what Hans Christian Andersen called his own creations…), become very intimidating. But, in reality, these words are just as intimidating as their English counterparts would be for a foreigner! Scratch that, the English words would actually be more intimidating! I don’t see too many foreigners saying how the English language is extraordinarily difficult, and I think that Danish pronunciation and spelling is actually a lot more intuitive than that of English—although let’s be honest, this is not a very high standard. (2) The spelling-pronunciation disconnect. This, too, requires some practice. And the best way to get this practice is by using the same method that most people who learn English to any degree use: media immersion. This is effectively how I learned Danish, after learning Swedish and Norwegian to significant degrees. Thanks largely to the similarities between Norwegian Bokmål and Danish, the written language was a lot less scary, thanks largely to the fact that Norwegian is very straightforward in its spelling and pronunciation systems, more than both Swedish and Danish are. I spent the least amount of time with Danish textbooks and learning materials—far fewer than I have with any other language. Because I spent most of my time with materials made for young native speakers of the language, my confidence skyrocketed and my progress was quick. This way, I turned the nightmarish aspects into a boon—I used it as a means to tell myself, “immersion is necessary to be good at this”. And so it was. But even if Danish is your first Scandinavian language, you have to realize that your journey is very much not impossible, contrary to what the Internet might say (and what doesn’t the Internet say?). You will be amazed with your progress and your journey, and so will you. 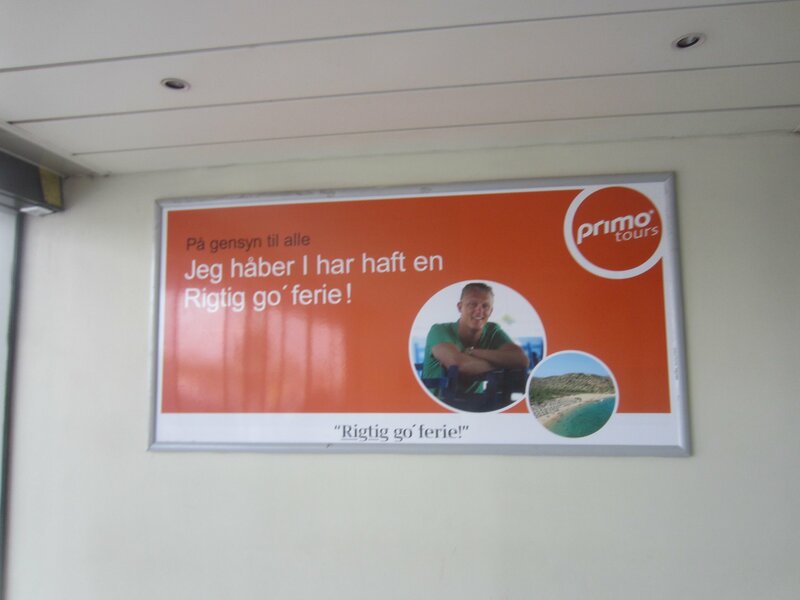 And so will your friends….even the Danish-speaking ones…especially the Danish-speaking ones! And actually, I’ll leave you with a secret: I know that there are many people who disagree with me, but I think that Danish sounds beautiful, especially when sung. If you don’t believe me, watch Walt Disney’s films dubbed into the language. They’re all there! Your Handy Guide to Never Being Answered in English during your European Travels…Ever Again! 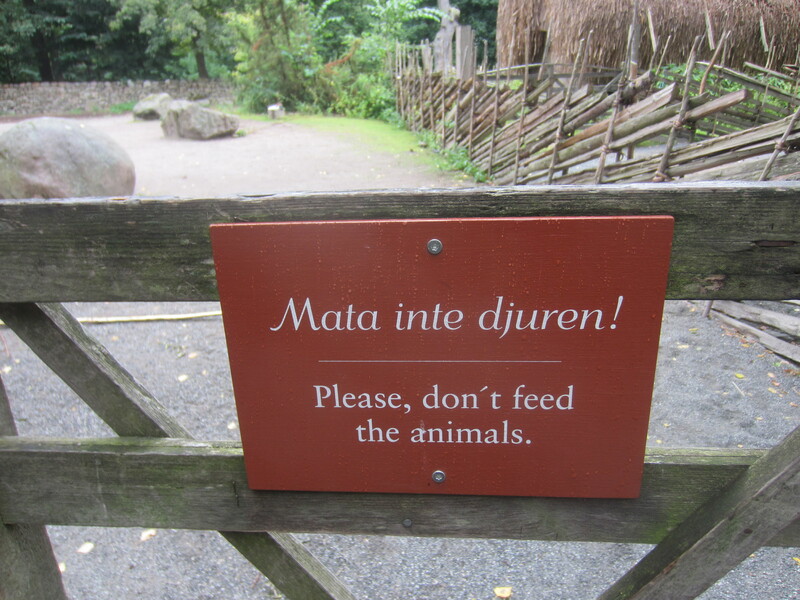 Skansen, Stockholm–taken by me, as with all photos on this blog except when otherwise noted. The feeling of trying to speak the local language and being answered in English has given me more ego-crushing blows than almost anything else on my intellectual journey. I realized in retrospect that a lot of said ego-crushers can be very easily avoided! (1) You must speak without hesitation. Using pauses is okay, but you must employ an air of confidence in your speech. Don’t feel like you are shaking upon the words coming out of your mouth. Possibly smile (if it makes you feel better) and deliver your request as firmly as you can, and if you are a tourist, you may want to set aside any anxieties you may have. Without question, the second answer (in any language) communicates a willingness to speak the language and not an “I flung open Google Translate for a few minutes on the train while the connection lasted” mentality. Don’t prepare the genuine phrasebook material. Okay, use that as a starting point, but if you want to be answered in the local language you may need to use more complicated sentence structure. Confidence by itself may be enough, and even when I was in Stockholm and still putting on my polygot shoes and getting them to fit, I usually wasn’t answered in English while ordering in Sweden as long as I firm enough. But in those rare cases in which being firm just won’t cut it, using complex sentences definitely will…and surprisingly, I don’t think that it is much work! (3) One thing that people may tell you that honestly doesn’t matter: even if you are easily identifiable as an English speaker, you can still pull yourself off as a local! I’ve done this in Stockholm’s Systembolaget every time I was in the store. For those of you who don’t know what Systembolaget is, it is the state-owned alcohol store chain in Sweden—any alcohol higher than 5% may only be sold at one of these chain stores. Guess how many times I got answered in English after handing over the American passport while using a few words of Swedish? Zero! Even after I got the passport handed back to me! I’m used to saying that there were only two countries that I visited in which I was regularly identified as a foreigner on sight: Israel and the Netherlands. But in these countries, as well as any other, this needs to be stressed: trying to use the local language will only bring you good results! (4) Another thing that may help is, if you have trouble grasping the local accent, use another accent that is very clearly not English. Back when I was struggling with the German Language (and who doesn’t struggle with the German Language? Or with any other, for that matter…), until around March 2014, I put on a host of Scandinavian accents to disguise the fact that I was not German (I mostly used an Eastern Norwegian accent for this purpose). Interestingly, at times I heard that my accent sounded like that of a native! I do not recommend using this tactic among your friends, however, who may insist that you speak in your normal voice. However, with servicepeople (waiters, flight attendants, etc.) their primary goal is making you feel at home, and they will address you in your language if they feel that will make you the most comfortable. (5) I used this tactic on many flights, especially with Finnair, Lufthansa, and KLM: when the flight attendants address you in English (they do that to everyone), address them in the local language instead. Even if you stutter, you’ll be convincing just by virtue of this. Just don’t mangle your speech too much. During my flight to Helsinki, I used this to pass myself off as a native Finn instantly! Not a single one of the stewardesses spoke English to me during the whole flight, even though I didn’t particularly understand their quick chatter amongst themselves (note: not all Finns are reticent and super-quiet). (6) If you are with a person who doesn’t speak the local language, and you do (even not very well), it is very easy to convince servicepeople (and others) that you are the local who is guiding them around town. Use this to your advantage if you can. (7) The rarer your language is, the more likely it is to get others to speak your language with you when you are outside the country that the language is spoken. I don’t think that I speak Dutch particularly well (yet…), but interestingly I felt it was easier for me to get Dutch people to talk a bit with me in their language when I was outside the Netherlands than when I was in it (…them?). (Interestingly, I feel that with Flemings it was the reverse, I’ve been told that my accent indicates that I had learned the language in the Netherlands [I did so in a bunch of places, but not really in the Netherlands nor Belgium]). (8) You should really keep yourself to using complete sentences, filler words, and a pinch of slang. These make you convincing. Just using incomplete sentences and standard phrasebook material won’t do you well if you want to be convincing. If you are at that point, it is easy to fix it, even just by using Google Translate and a notebook. (9) If you are in a country with lots of immigrants that learn the local language (Sweden is the example par excellence, as there are immigrants, from various countries, who learn Swedish before even touching the English language), you are in luck, and it is a lot easier for you to be addressed in the local language, because they understand the struggle with learning more than most. (10) The most important lesson of all? Don’t be discouraged! If you are getting answered in English, this is a problem you can fix. Just read through my guide again and take it to heart. These principles hold true everywhere—in Italy, in Belgium, in Malta, and everywhere else I can name, both where English is widely spoken and where it may be a rarity. What are you waiting for? Don’t use the “they’ll just speak English back to you” as an excuse! If you want to learn languages from countries with such reputations, don’t let it stop you! Now get learning! Northern Sami: What? Why? How? 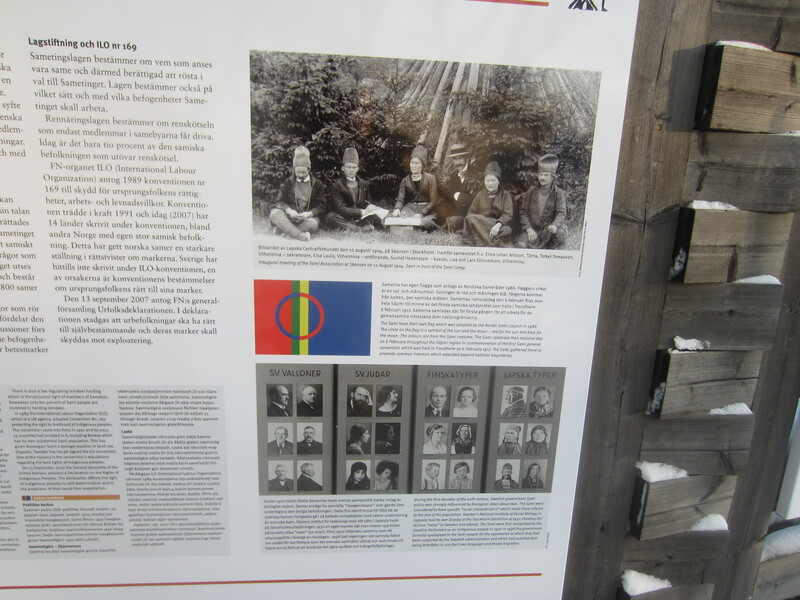 Something to think about: the person who designed the Sami National Flag is only a few years older than I am. Sobering…but comforting, because the Sami Flag is one of my personal favorites anywhere! The Nordic Museum is a fantastic place, complete with a journey through Swedish fashion throughout the ages, and an in-detail description of the life and writings of August Strindberg, possibly the best known Swedish author of them all (okay, Astrid Lindgren also deserves a mention). The indigenous people of Northern Scandinavia, the Sami have a host of languages to their name, the most prominent of which is Northern Sami (Davvisámegiella), in which the National Anthem of Samiland (Sápmi) is written. I cannot speak about the other Sami Languages right now, although it should be noted that a significant amount of them have become extinct and a host of others are still living. The Sami Languages are not mutually intelligible, but since I have only put serious effort into one of them I cannot comment on the similarities between them (or lack thereof). (1) The accent is always on the first syllable (a hard-set rule throughout the language family). In this example, the nominative has the “pm” and then is gradated to “m”. Hence, Finland in Northern Sami is “Suopma”, of Finnish/Finland would be “Suoma”. About Northern Sami itself, I have heard people asking why I even bother to invest my time in it every single time I bring it up! In other cases, I’m even lucky if I’m asking people who know what it is. If they do, however, the fact that I know even a bit of Northern Sami is very, very heartily appreciated. So that’s your homework: get learning a very rare language. There are lots of them. And more resources for them that you realize. Start today! The primary reason I chose to invest in Northern Sami was because I have an interest in Nordic Culture and I wanted to investigate the linguistic interplay between the Northern Sami Languages and Norwegian, Swedish, Finnish, and Russian (and I look forward to dragging Russian out of my “Forgotten Language” zone). One fine day at a pool party I brought my very trusty Northern Sami notebook (the words “Ale Stuža!” [Do not splash!] were very useful! ), I had to explain what sort of language this was and why I was learning it(for what was not the first and what definitely will not be the last time). Why? Understanding Scandinavia better, through its more unheard voices. What? Picture this: Norwegian and Swedish have a baby, and then that baby grows up and has a baby with the Finnish Language. That is what Northern Sami is…very, very roughly. What do you do with it? Well, that’s up to you. There are translations to be done, there is the Bible in Northern Sami, there is even a Learn Useless Northern Sami Page on Facebook (which has been inactive for a while but is still useful). If you learn by association (the way I do), the other Nordic Languages become easier to memorize and learn (especially Finnish). Of course, it is also a vital piece of history as well, and in many tourist attractions in Sweden you can see Northern Sami being used in Museum media. It is, after all, one of the official languages of Sweden, and one of the official languages of NRK, the Norwegian Broadcasting Corporation. There is also a Sami kindergarten in Helsinki and in all four countries which make up a part of Samiland, there are efforts and usages that will reward you, not also to mention “Ođđasat” (the Sami News channel), a Kubuntu translation, and a handful of Northern Sami video games that you can find it you look hard enough! And for those of you who scrolled all the way to the bottom in order to find out how many speakers the language has, I’ll place the estimate at around 20,000, a number which is probably either from UNESCO or Wikipedia. As to what I used, the biggest piece of it was a Northern Sami-Swedish Course called “Gulahalan” (I Make Myself Understood), which has twenty lessons all for free! I will review the course on another occasion! Until then, I hope that this post inspires you to take up a study, however serious, of some small language that you may have had your eyes or heart on for a while! For “No Pineapple Left Behind”, I was tasked to create an artificial language learned in the in-game schools, and the Cantaloupian Language was the result of this project. Viß Ioŋ bekumam bunaris noutis, Ioŋ þa minema pra laundeyat. If I good grades, I will go to college. If you speak Norwegian or Danish (or both), you definitely recognize a cognate of “hvis”, at the beginning of this sentence. German speakers may recognize a cognate of “bekommen”, and Spanish speakers (and students) may recognize “buenas notas”. In most cases, I took a lot of these words from other languages that I know (and others that I have studied at some point), although in almost all cases I altered them. There are others still that I had concocted from bastardized versions of phrases (“laundeyat” is a primary example, from English “Loan Debt”). The grammar was mostly influenced by Northern Sami, although the sentence structure and idiomatic flow does resemble that of English. þa let intent ananas ßomm þa let azovanut. Modern Greek speakers here, anyone? “Tha” may ring a bell as introducing the future tense. Speakers of Finnish will also recognize the a version of the “-nnut/nnyt” ending. And, of course, the verb “to be” = very Northern Sami indeed, but I can’t reveal everything right now, now, could I? The “ge”? That resembles the Estonian command suffix: “-ke/-ge”. For Finnish Speakers, this is “-kaa”. The “sau” on the page is closer idiomatically to the Swedish word “att må”, meaning to feel a certain way. The word “to be”, as evidenced, is something else entirely. If you are surprised and entertained by this development, just wait. This isn’t the last you’ve heard of it. Have you ever tried making your own language? 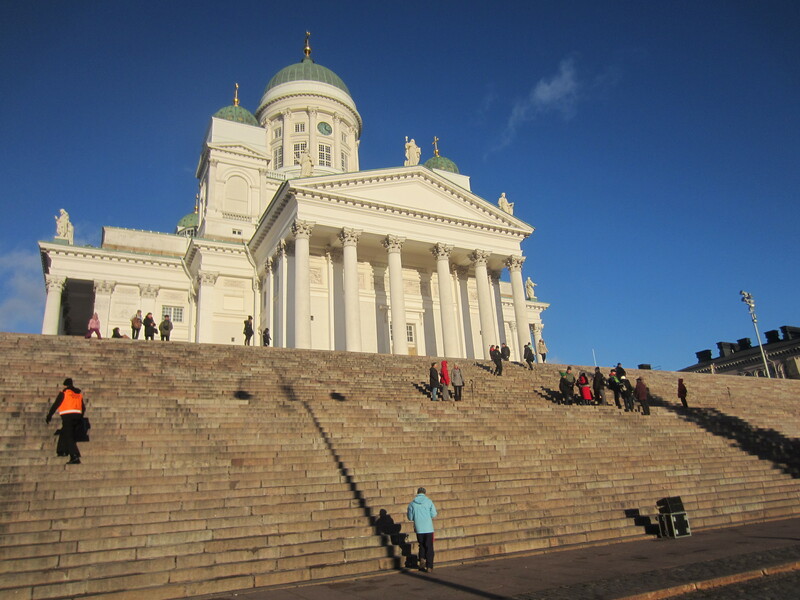 I began my journey with the Finnish Language in March 2013, during a few weeks off in the United States. After having spent eight months in Sweden, I remember that many of my friends (Swedish and otherwise) found the Finnish Language odd, interesting, and completely unintelligible, despite the fact that there were Finnish translations on almost every single piece of food packaging in the country. I’m not passing judgment on any of these phenomena. They are what they are. None of them have tried! Interestingly even for a few people who learned about twenty words of the language, they don’t find it especially difficult—just different. I’ve had significant struggles with language grammars. Modern Greek’s future tense system gave me nightmares. The Hebrew binyanim became something I never wanted to think about. And then there was Finnish’s lesser-known relative, Northern Sami, which had consonant shifts across the board that I still struggle with. I can tell who is informed about the Finnish Language if he or she uses one word to describe it: logical. Some have even said that it is a language that is possible for an outsider to learn perfectly (I would never say this about American English). The grammar does take some effort to learn, but I found that in comparison to the grammar of Modern Greek and Modern Hebrew especially (not also to mention those of the ancient languages that I had forgotten), Finnish was an easy ride. It is true that there are about thirty-five different noun categories for declination (Greenlandic only has ten). Most of these are intuitive, however, and I couldn’t have said the same thing about anything regarding, let’s say, Classical Greek. “Polska” = Poland, “w Polsce” = in Poland. The information about the preposition is contained within the case itself. When I was first immersing myself in Finnish, I found it difficult to absorb native material because I felt that my brain was trying to watch a ball being thrown back and forth by professional athletes with unnatural reflexes. Namely—I couldn’t absorb all of the case information very quickly. As the accent is always on the first syllable, distinguishing words in spoken speech is very easy. Even if you are relatively inexperienced, you can use this principle in order to type in words you hear into Google Translate just by hearing them. The Finnish Language, in comparison to others that I have heard, is spoken slowly. I’ve noticed very much the same in most instances of spoken Swedish as well. This definitely isn’t Brazilian Portuguese or Andalusian Spanish that you are dealing with. Maybe FinnAir stewardesses speak very quickly sometimes, but most of the time, I have noticed a significantly slower tempo—in both spoken speech and in the media. Are you afraid of learning a language because people speak too quickly and that you can’t make out the words? Both problems solved! Just choose the Finnish Language. There is only one real difficulty, however, and that is the fact that most words are not Indo-European at all. Never fear, there are a handful of Swedish import words (luvata = att lova = to promise), German idiomatic structures (pääkaupunki = Hauptstadt = capital city), internationalisms (dramaattinen, poliittinen), and English words (rooli, mestari). Aside from that? Mostly it is an issue of getting out the flash cards, or the right software to assist with your memory. But you can do it! You would have to be doing memorization like this anyway. I don’t see people complaining that Hebrew is an extraordinarily difficult language, and I know why not: it is more commonly studied. But one thing that I didn’t think about was this: I played lots of piano at the time and it never occurred to me that it was merely an issue of holding a note for longer. That is the same difference you would find between the long and the short vowels, not also to mention the long and the short consonants (valita = to choose, vallita = to govern). Both of them, just like everything else in a language, takes time getting used to—and you’re not going to get people angry by accidentally using the short vowel when the long one should be used. Context is a wonderful thing, isn’t it? Therefore, pronunciation isn’t actually a problem. In both Finnish and Hungarian I have heard that is it quite easy to sound like a genuine speaker (I still have yet to have extended experiences with Estonian and Northern Sami, not to mention the other Finno-Ugric Languages). My friends who would struggle with a few words of a Scandinavian Language like Norwegian could easily pronounce Finnish words with no difficulty. I am not exaggerating when I say that Finnish pronunciation could very well be easier than that of Esperanto. Then there is the issue that the written language is quite different from the spoken one, but start with the spoken language and then you will be able to read the billboards and even the newspapers with enough discipline and practice. The difference between the two sides of this language is no different than between the spoken and the written German Language. And here’s a secret: the German Language and the Finnish Language, despite their differences, are very similar idiomatically! That isn’t to say that you shouldn’t use other resources—hearing the language is essential, and my progress in the language would have been impossible without it. There is lots of material to be found, American children’s classics included. And here’s the best part: even if you learn the language to an “okay” or even rudimentary level, the mythology that the Finnish Language is extraordinarily hard means that you will command respect from people, most of who have never tried!